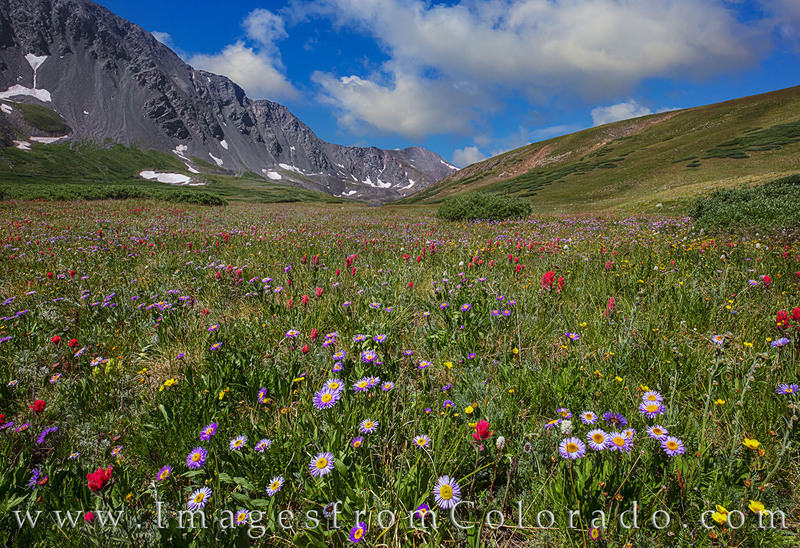 With Grays Peak (14,270') in the distance, the wildflowers in Stevens Gulch and along the Grays Peak Trail add an explosion of color to a mild summer afternoon. The hike up and back is nearly 8 miles, and the scenery along the way can be breathtaking (and not because of the altitude!). This trail follows the Continental Divide Trail, as well, and leads the way to two of Colorado's 14,000’ peaks - Grays Peak and Torreys Peak. Photo © copyright by Rob Greebon.